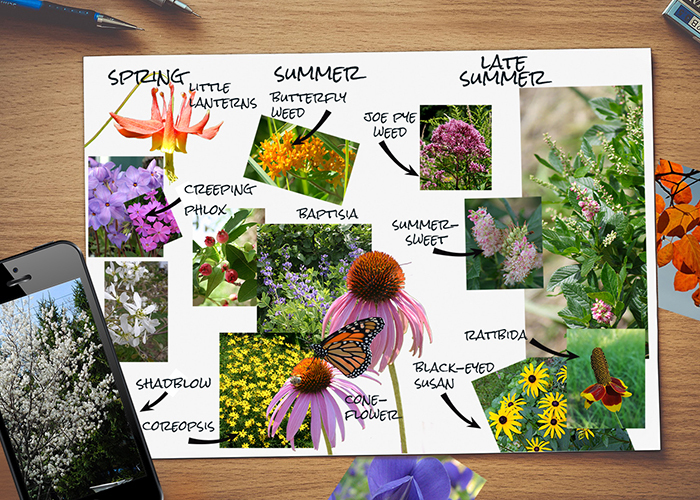 Garden Notebook – Native Plants for Butterflies, Birds & A Beautiful Garden | Faddegon's Nursery, Inc.
Jun 6, 2017 | Garden Tips, Perennials, Shrubs, Trees & Vines, What's New? Native Trees, shrubs, and flowers present so many opportunities for a good gardening experience! When we plant native varieties we’re assured that our environment is not only friendly to these new plantings, but the plants themselves can happily settle in requiring less maintenance and protection than other selections. While we’re busy making our landscapes beautiful, birds & butterflies are thanking us! They depend on naturally occurring plants for their health and survival. Keeping the ecosystem in balance is a win-win! Your Amelanchier will now explode with gold, red and orange fall colors! Zones 4-8.